ScreenHunter screen capture tool for you to easily take screenshots. 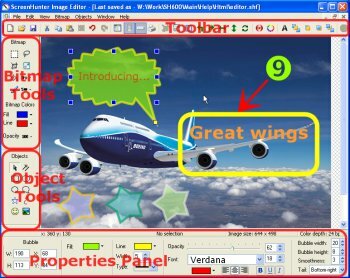 It can capture a rectangle area, an active window and full screen, including the mouse pointer. It automatically saves captures in BMP, JPEG, or GIF file format, so you don't have to stop each time and you can capture as many as you like. It also can save to Clipboard to be copied to other programs, such as Motion Studio and Word. 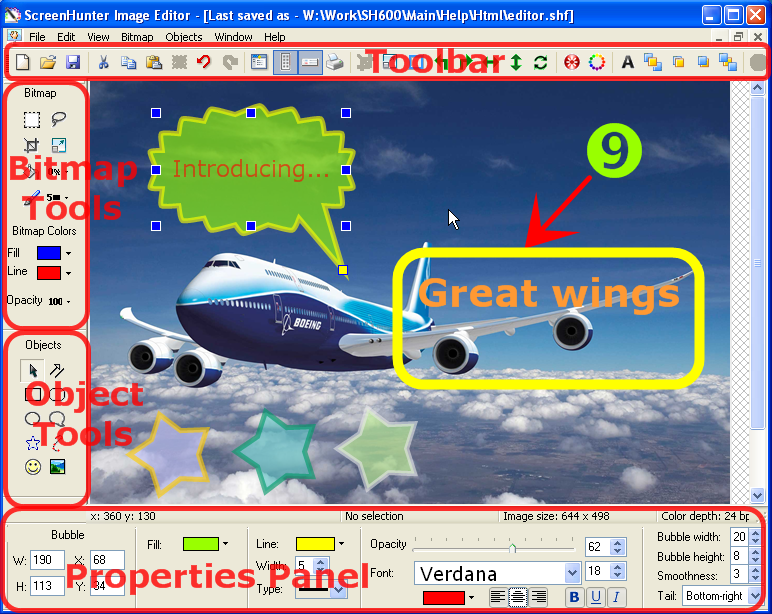 The Pro version includes all features from the Free and Plus versions plus Capture adjustable area, freehand, user defined area, multi-object and text, Auto-scroll, auto-scale, auto-email, scheduled capture, multi-hotkey, Image editing with image processing, Web capture, and Other advanced features.